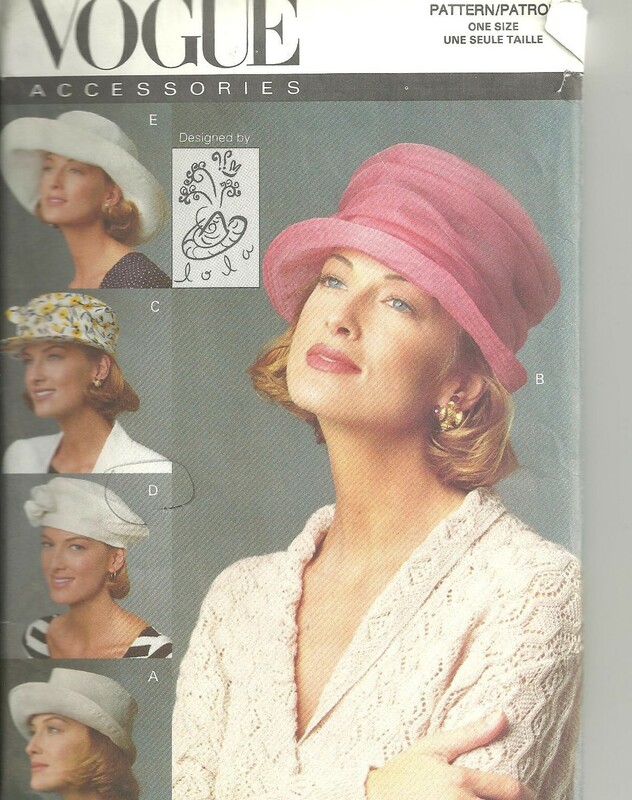 I’m pretty sure I have this hat pattern, ‘cuz I really like the pink hat in the large photo. I like to wear hats, when it’s cool enough, and I don’t know that I look very good in them, but I like them just the same, so I don’t really care if I look silly. There is something about wearing a pink hat like this that makes you feel fancy and international and metropolitan and worldly and – dare I say – like you have money, because you know all those fancy people that wear fancy hats like this go to the Kentucky Derby wearing fancy hats like this. So after my latest success of making a raincoat, now I want to make a hat. And there’s a twofold reason: not just because I want to, but because there is a Derby Hat competition here at work. It’s all in fun, and I’m not really interested in winning, I just like to have a goal. Competitions like this help me to stretch my creative thinking and there is a finite, “tangible” date set to finish. These parameters are good for me, they help me to stay focused, and have some fun at the same time. Have you tried anything new to stretch your creative limits? and how do you stay focused?